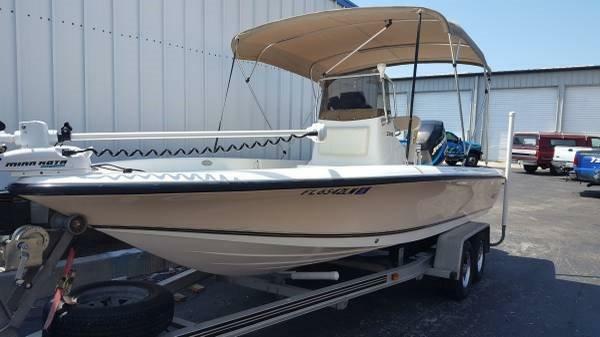 2001 Mako 2100 Bayshark IMMACULATE 2001 MAKO BAY SHARK 2100. POWERED BY A MERCURY 200 HP SALTWATER OPTIMAX, ALUMINUM TANDEM AXEL TRAILER WITH DISK BRAKES AND SPARE TIRE. 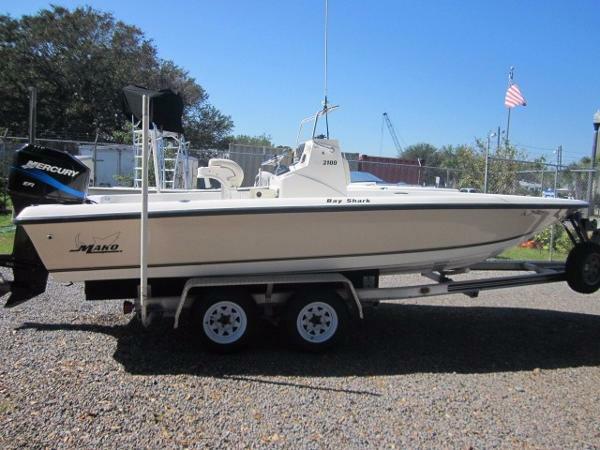 GARMIN GPS AND FISH FINDER, GARMIN VHF RADIO, BIMINI TOP, 2 LIVE WELLS, ROD STORAGE BOXES. A FANTASTIC BAY FISHING MACHINE.